Sydney Lee is full of style and grace, and loves ballet dancing! She comes with lots of accessories and a book about her adventures from the classroom to the dance room! The set includes 24 pieces such as a pink leotard, a sparkly tutu, tights, a glitter headband, a bag, pink ballet shoes and leg warmers. She also has a water bottle for rehearsals, a yoyo, 4 recital invitations a newspaper, a chapter book with bookmark, crop top, tracksuit pants and much more! 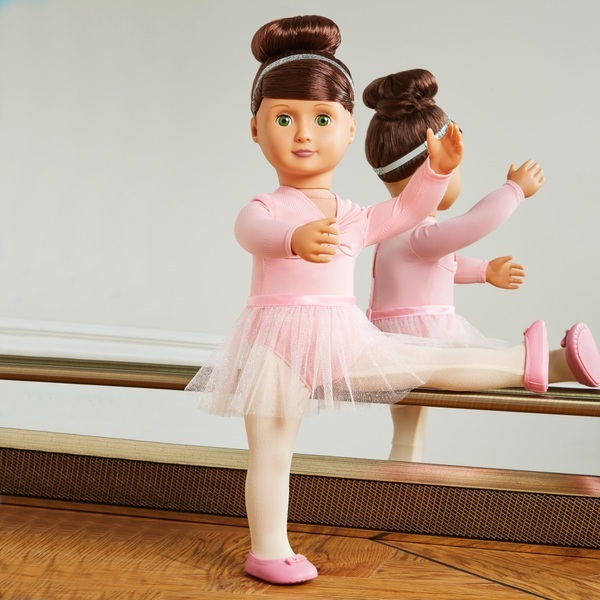 You'll have endless fun creating beautiful ballet routines and memories together.